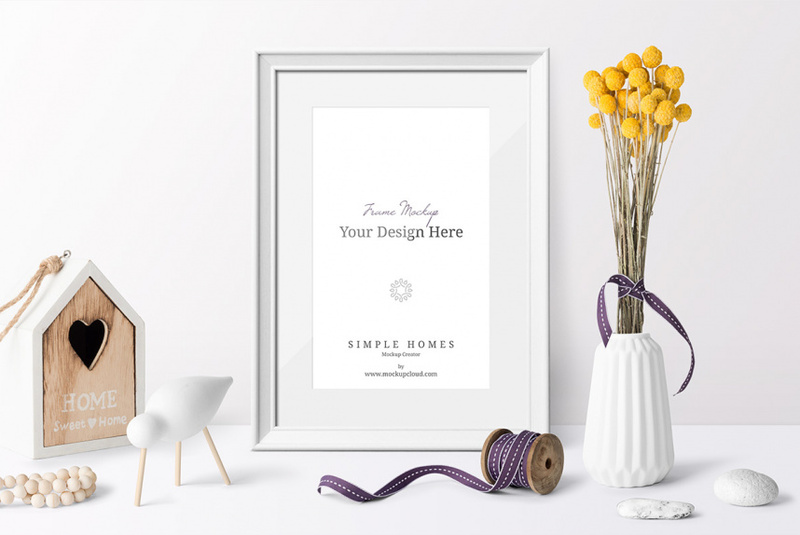 The simple homes mockup are high quality images psd to present your posters, website header, Etsy shop, Instagram page, Facebook or Dribbble. The full set includes more than 600 items with sixty ready made scenes and 20 background textures. Objects can be changed color can textures. You can buy full set of Simple Homes Mockup Bundle on Creative market.